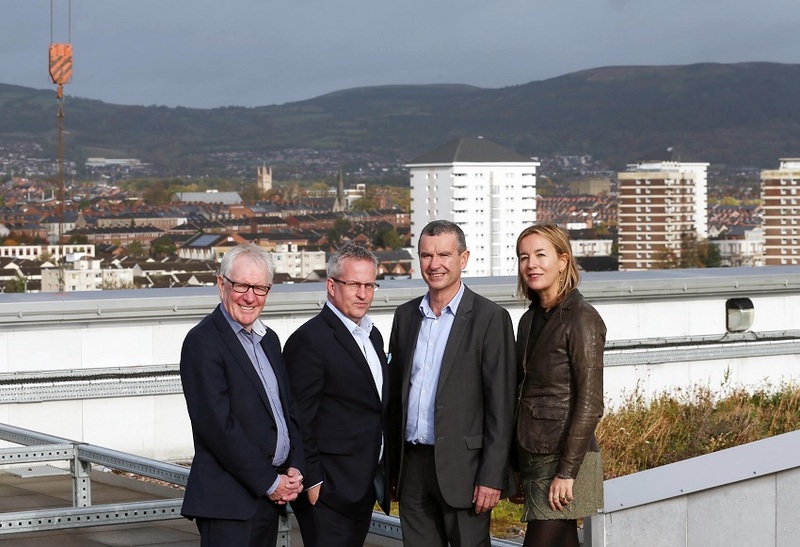 As construction momentum continues on the state of the art Ulster University Belfast campus development, Vice-Chancellor Professor Paddy Nixon has launched a North Belfast Community Benefit Framework alongside local community partnerships. 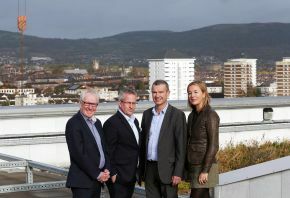 Ulster University has reaffirmed its commitment to the greater North Belfast area via the co-creation of a Community Benefit Framework, developed jointly with Inner North Belfast Neighbourhood and Greater Shankill Neighbourhood Renewal Partnerships. The purpose of the framework is to help realise the social, educational, environmental and economic benefits to the local community that will arise from the additional 15,000 students and staff that will move from the Jordanstown campus to the new Belfast development. Guardians of the framework, Paul Roberts, Jackie Redpath, Professor Paddy Nixon and Professor Raffaella Folli launched one of the initiatives embedded in the framework, Community Fellows, a programme aimed at bringing the north Belfast community closer to the university by empowering individuals, offering training and Continuing Professional Development opportunities. 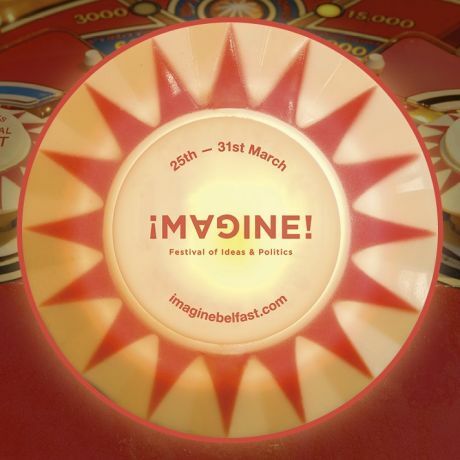 “The Inner North Belfast Neighbourhood Renewal Partnership is very pleased to be part of today’s launch of the Community Benefit Framework .The Framework is a co-designed action plan that covers areas such as research, widening access and participation in education, arts and events and improving educational achievement. 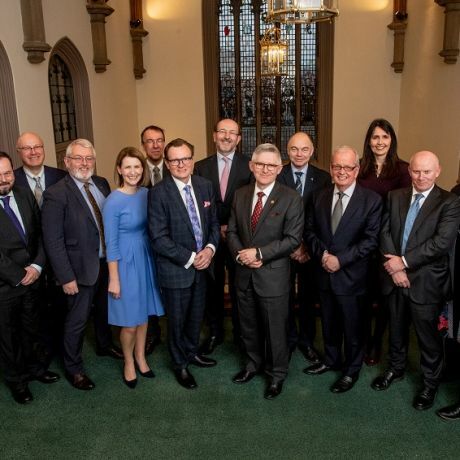 “It is evidence of a new level of partnership working between the North Belfast Community and the University designed to realise the social, educational, environmental and economic benefits that will arise from the relocation of Ulster University to North Belfast. Our communities have faced significant challenges over many years, this Benefit Framework is our joint commitment to work together to create real and tangible benefits for our community and to show how the rich fabric of our community can create real benefit for the University. 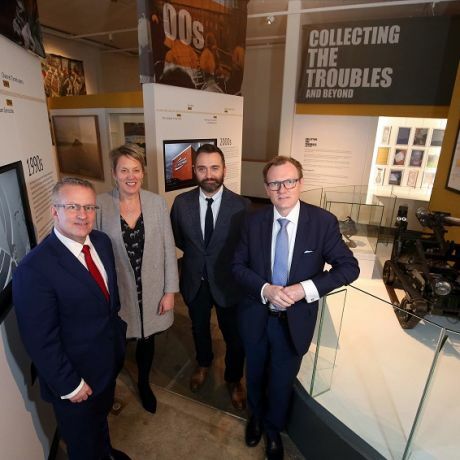 Jackie Redpath, CEO Greater Shankill Neighbourhood Renewal Partnership welcomed the commitment of Ulster University Vice-Chancellor, Professor Paddy Nixon, to work in partnership to maximise the impact of the new York Street campus on its neighbouring communities. “It’s an amazing opportunity for the Shankill community to have this new University campus effectively on its doorstep. We have been engaging with Ulster University over the past two years to develop an effective partnership. “The Community Benefit Agreement launched today by the Vice-Chancellor opens the possibility of impacting positively, especially on a new generation growing up in the Greater Shankill Children and Young People Zone. In years to come we hope that it will be as natural to see numbers of young students heading down the Shankill Road to the Ulster University York Street campus as it is from any other part of the Province.